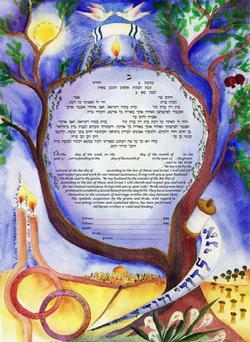 There is so much I did not know about Ketubah.com’s very first Signature Collection artists, Veronique Jonas. 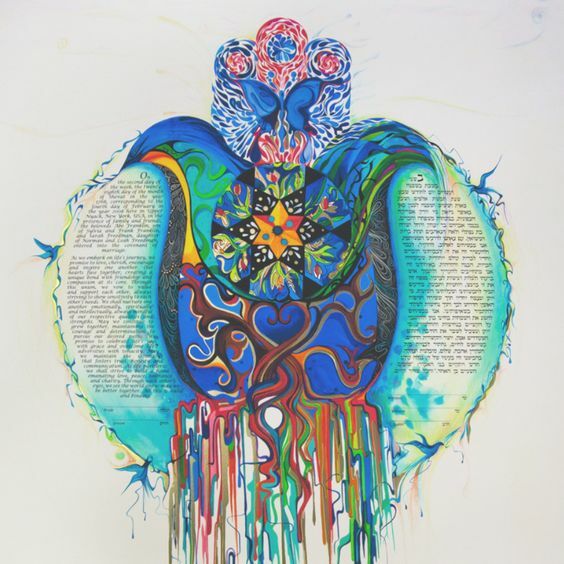 Her art is inspired by ketubahs from different parts of the world, and those dating back to the middle ages. And we also share a common love for paper cut ketubahs. 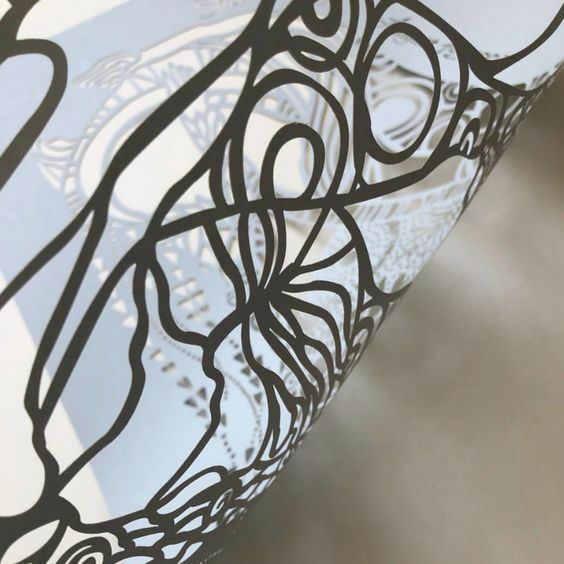 Here is an inside look behind the work of Veronique Jonas. 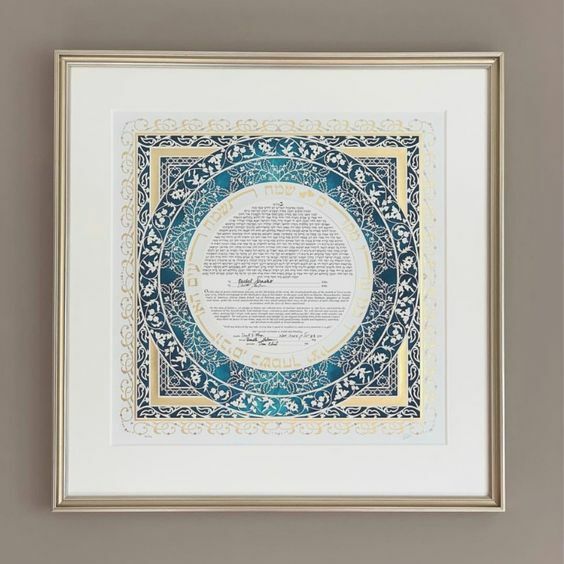 What has inspired your Ketubah art work? 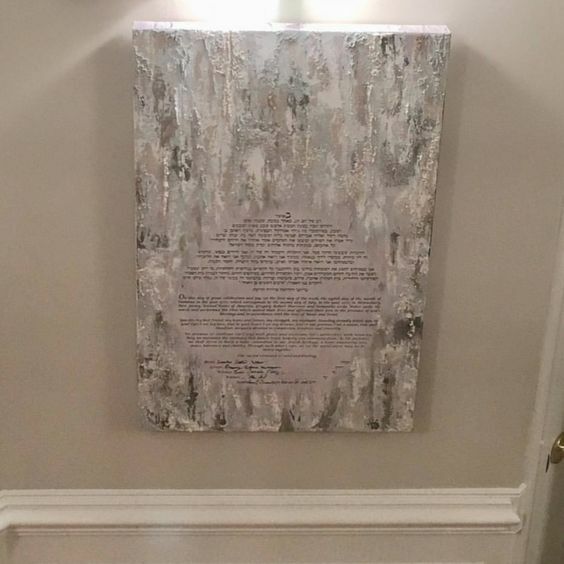 An adult Bat Mitzvah, how old were you and what was that like? 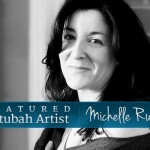 Why Ketubahs as an artist? 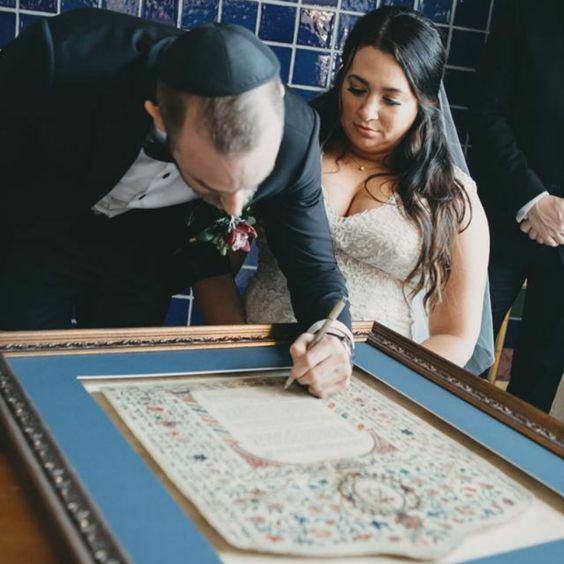 “After that first Ketubah I became hooked. 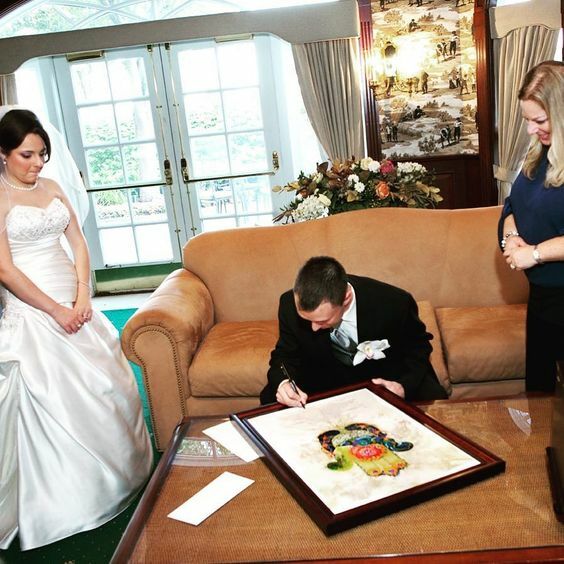 A Ketubah is the ultimate tangible symbol of the love between two people. 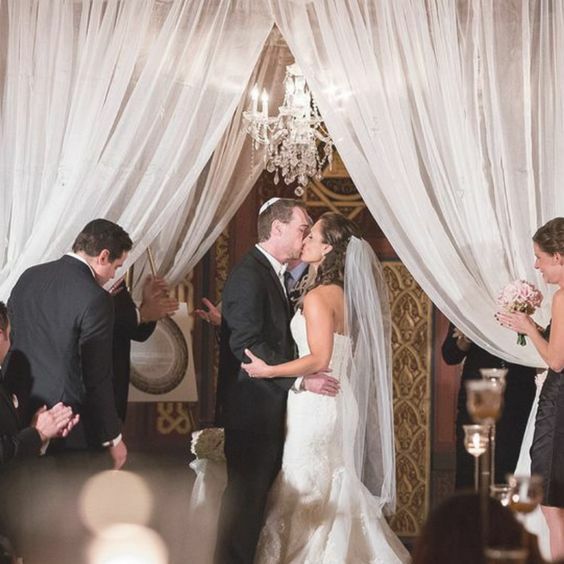 Much like a wedding ring or a Chuppah, it embodies the words and the images that make the union of two people so unique and so special. 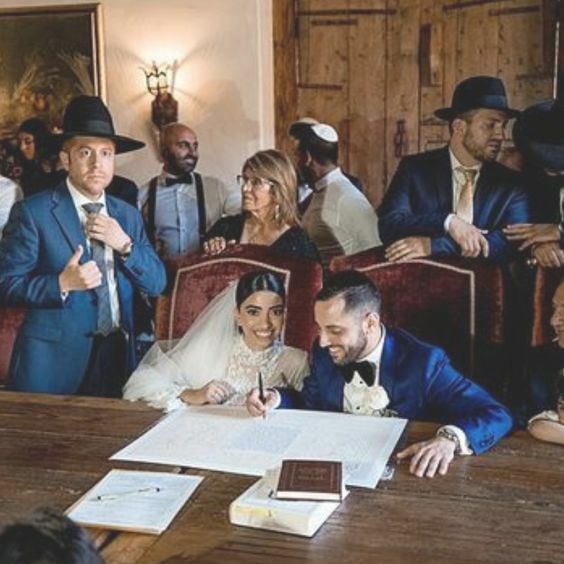 It is also the first object that a couple chooses and owns together officially. And that is truly something you see through Veronique’s unique and painterly works. 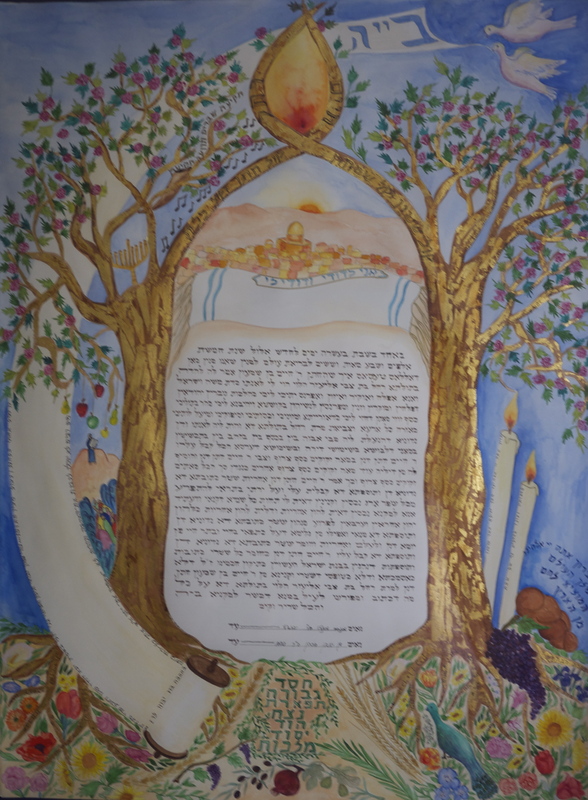 Your ketubah “My Beloved is Mine” is still one of our most popular ketubahs. Why do you think that is? What was the inspiration behind it? She laughs, “I know! I still cannot fathom why! I created it with the same ideas, the same technique and the same inspiration as the others. Are there any other kinds of work you are interested in, or are currently working on that you are excited about? which are a symbol of unity, continuity and eternity. 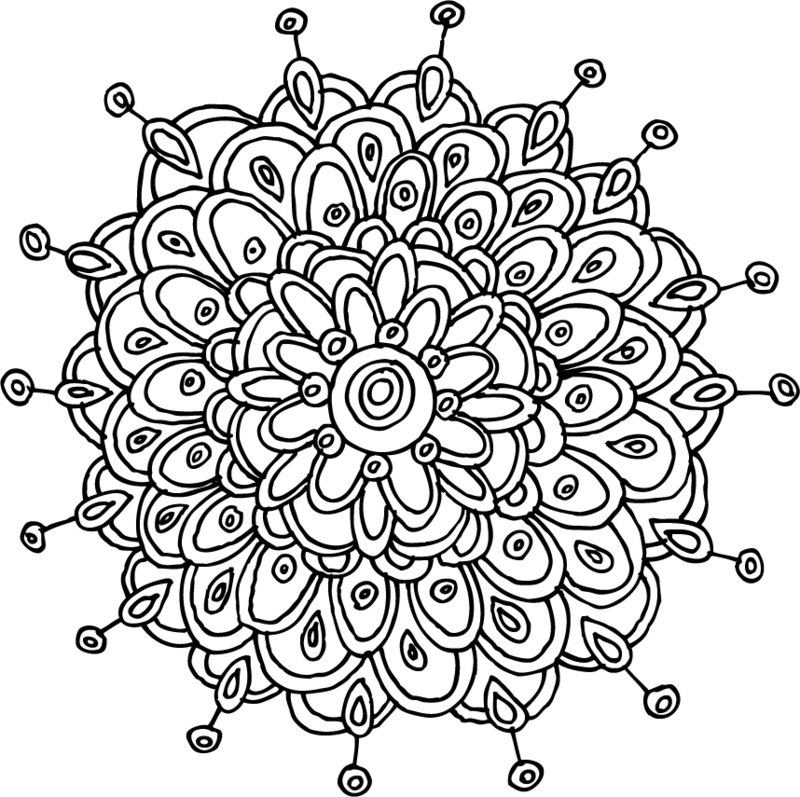 I love creating these as it takes me to a personal meditative place as I am working on them. 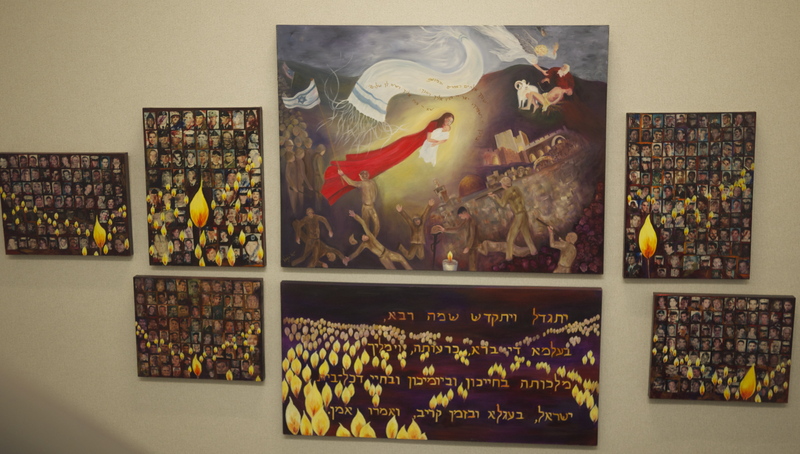 Other than Ketubah art, I am constantly painting and growing as an artist in many different directions. I have become an avid Plein Air Painter. I continue to do expressionist works as well. 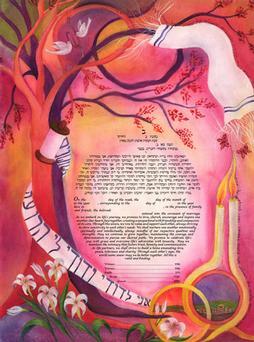 My work is all about color, as is seen in my Ketubah work. 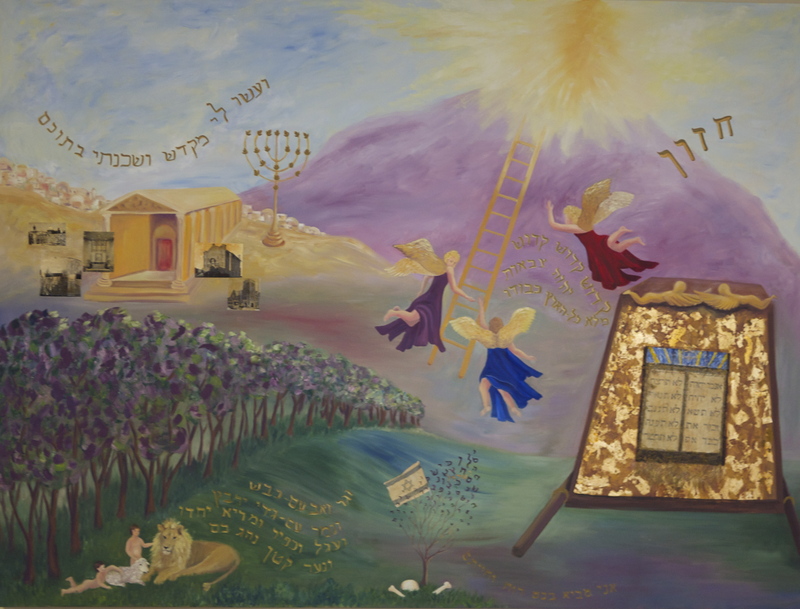 “Visions” is a painting commissioned by Congregation Shearith Israel to commemorate their 100th Anniversary that Veronique had the great privilege of painting. 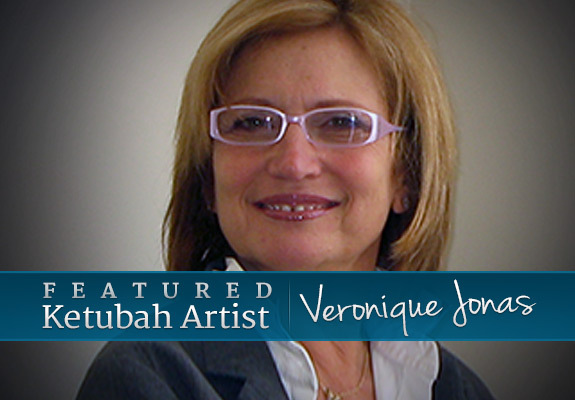 To see all of Veronique’s Ketubahs at click here! Such a beautiful affirmation for you and your gift and love. Continue to go from strength to strength, together with your family. All the very best, Ethne Freedberg. Veronique you are so gifted! Pleine d’amour, de générosité, de spiritualité et de talent. Full of love, generosity, spirituality and talent. 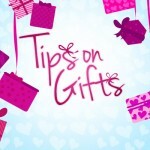 Congratulations my dear cousinette” Thank you for checking out the blog and this great feature! Thank you so much Rina! We couldn’t agree more!